After running five races for Stewart-Haas Racing with Fred Biagi in 2018, Chase Briscoe returns to the seat of the No. 98 Nutri Chomps Ford Mustang full time and will contend for Sunoco Rookie of the Year honors. The NASCAR Racing Experience 300 will mark Briscoe’s first NASCAR Xfinity Series start at Daytona International Speedway. On January 25th, Briscoe competed in the Michelin Pilot Challenge for Ford Performance as part of the 24 Hours of Daytona weekend. Briscoe and team finished fifth overall. Briscoe will appear alongside Custer at the Ford Performance display in the midway at Daytona International Speedway for an autograph session on Saturday, February 16th at 12:30 p.m. This weekend is the beginning of the #ChaseThe98 social media campaign with Chase’s dog, Ricky, adorning the sides of the No. 98 Nutri Chomps Ford Mustang. 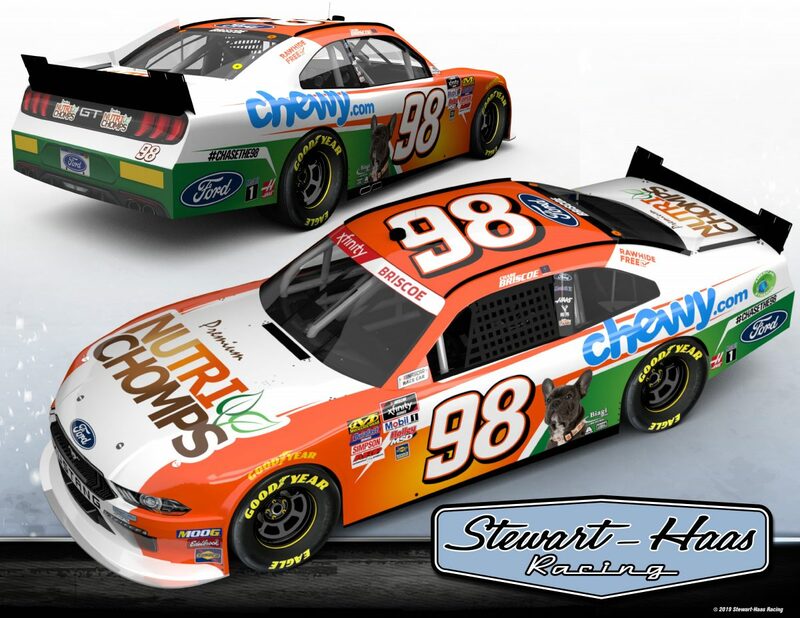 As part of this campaign, fans are encouraged to send in photos of their dog, via Twitter and Instagram, using the hashtag #ChaseThe98 for a chance to be featured on the side of the car.